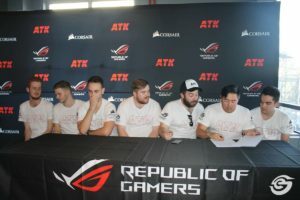 The US-based former Denial Esports CS:GO side, newly playing under the South African ATK organization have been looking pretty damned good lately. That may seem like a somewhat strange statement given that their last high-profile LAN appearance at WESG wasn’t their finest hour by any means. However, I think the side looked much improved after that based on their online output, just prior to returning to South Africa to officially sign with ATK. Let’s delve into their recent results and see whether the statistics support that assertion. We should immediately go back to their highly disappointing run at the recent WESG tournament in Chongqing, China, while still playing under Denial Esports. They were comprehensively bested by Denmark’s Optic Gaming and the Serbian Valiance side playing with a stand in. The South Africans lost 2 – 0 in both cases without even registering double digits themselves in any of those maps. Later, they managed to register a dominant win over NASR of the United Arab Emirates in a match that was a dead rubber since they were already knocked out in the group stage. It would have been scant consolation considering NASR are a minnow side in comparison to the South Africans. This performance served to underline just how impressive their December 2018 underdog run was while still playing for Bravado in Sweden at DreamHack Winter. At that tournament they beat the same Optic Gaming lineup in a best of one matchup and eventually made it all the way to the Grand Final against ENCE. That self-same ENCE lineup would go on to feature in the IEM Katowice Major Final against Astralis a few months later. WESG by comparison was a dire outing for the team, even without having to face such elite opposition. Read the full article over here.